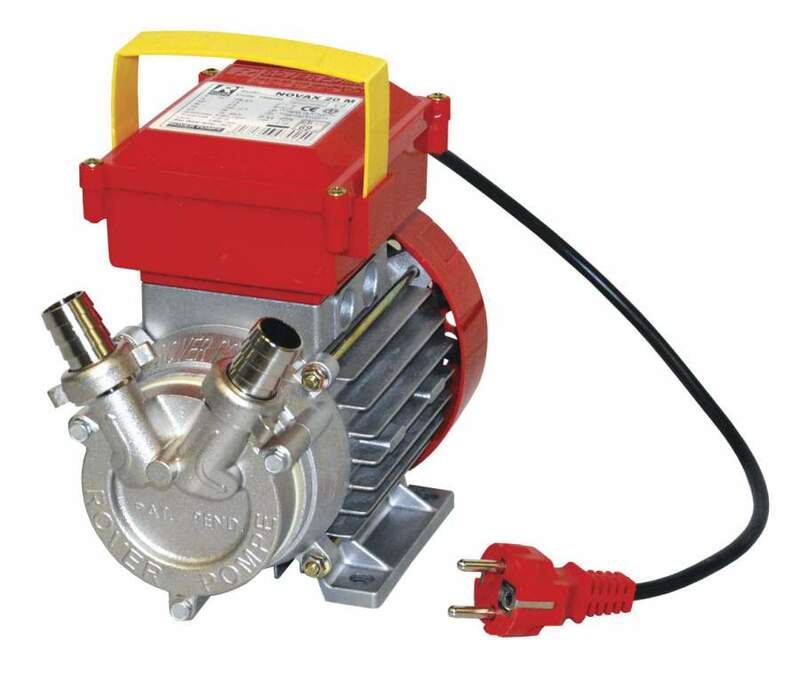 Very favourably priced liquid ring pump with an electric motor. Pump housing with stainless steel shaft. Without bypass, pump operable in 2 directions. Suitable for pumping clear or lightly charged food liquids, such as water, wine, wort, etc. With Viton seal for liquids up to 95 °C. Motor: 230 V, 50 Hz. The pump cannot be used for aggressive detergents like caustic soda, hydrogen peroxide… Do not run the pump dry. Begin with priming the pump by pouring a liquid, then the pump becomes self-priming. Този продукт беше добавен в нашия каталог на 31 March Friday, 2017.